We round off the first ever month of French Fridays with Dorie with Marie-Helene's apple cake. 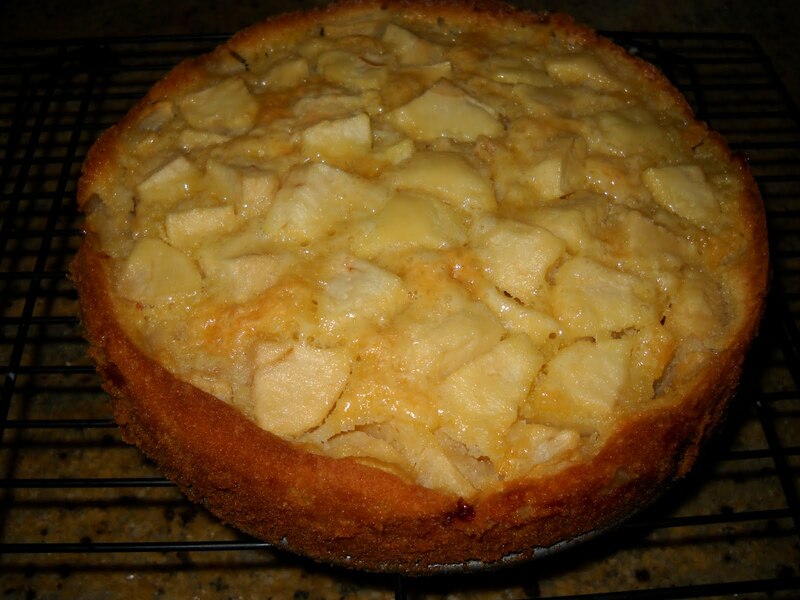 Effectively, this cake is comprised of a soft, spongy cake dotted liberally with chunks of apple. 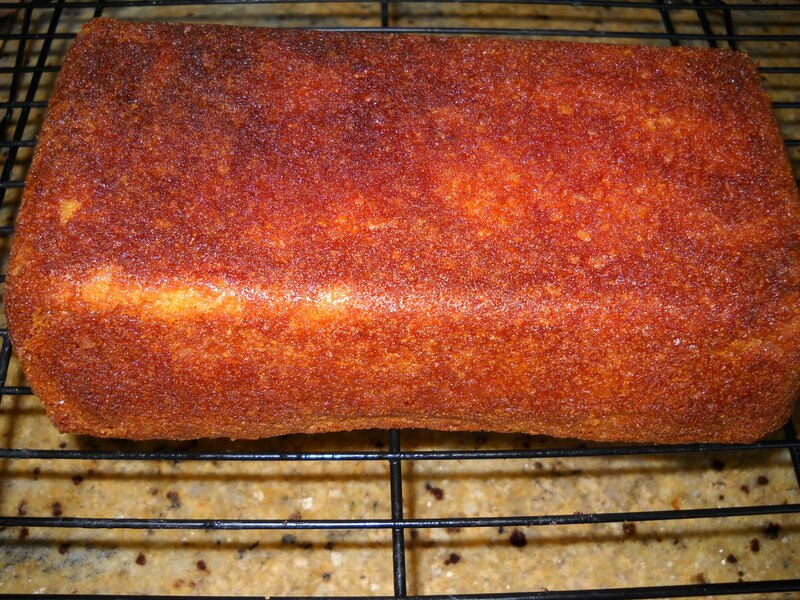 It is the easiest cake to make, as there is no requirement for a stand mixer. The recipe uses melted butter, so there is no trickiness involving hard, non-compliant butter or creaming. I have an apple corer-slicer gadget that makes cutting the apples a breeze, so again, there was no hardship in making this cake. The cake is really a barely there, light as a feather vehicle for the true star, the apple. This is one cake that you could definitely have second and third helpings of - and it is dainty enough to be served at a ladies tea party. Thanks to Dorie for choosing our recipes this month. 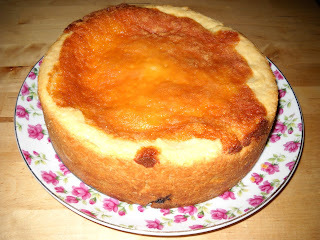 You can check out what everyone else thought of this cake at the LYL section of the French Fridays with Dorie website. 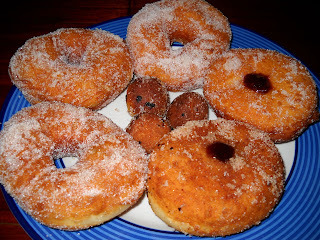 Daring Bakers - Let's Go Nuts for Doughnuts! 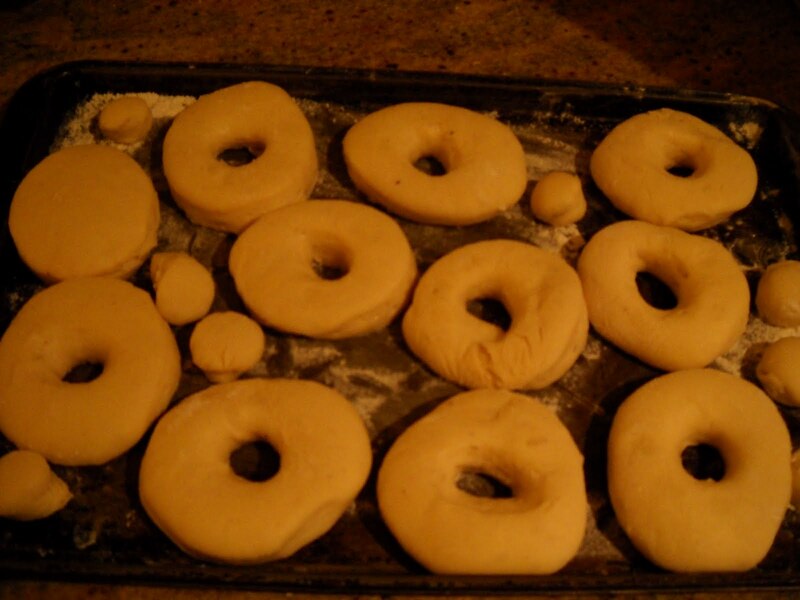 After a huge thumbs up from Audax, I chose old-fashioned yeast donuts from a recipe by Alton Brown. I didn't feel too daring this month, as I have made donuts before - both baked and fried. However, it is always a challenge to do battle with my deep fear of deep frying. 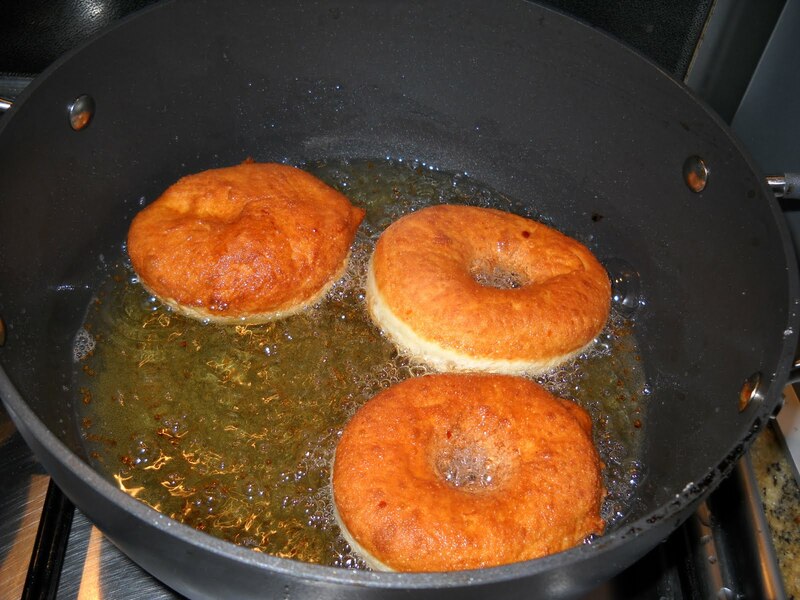 I left some donuts "whole" so that I could fill them with jam after frying - I wanted the best of both worlds. 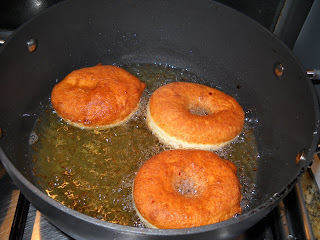 Immediately after removing the donuts from the oil and draining them briefly in a slotted spoon, I tossed the donuts in a combination of vanilla sugar and cinnamon sugar, then fillled the round hole-less ones with jam by inserting a piping bag filled with jam into the base and pumping in the jam. The end result is what you see at the top of this post. Thanks to Lori for being our host this month. 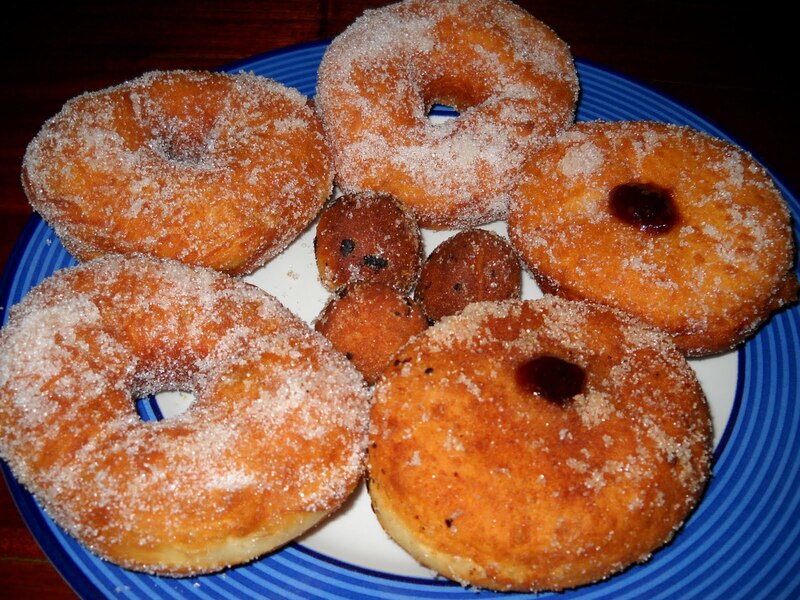 She will have the recipe for these and a few other types of donuts, if you are feeling hungry enough to go and make your own donuts right now. And you can check out a veritable rainbow of all kinds of other donuts by visiting the Daring Bakers blogroll. Some things are always comforting - a familiar song, an old movie, a teddy bear, your mother's voice, and certain foods. 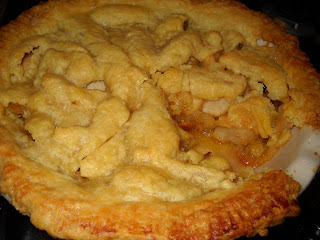 Apple pie is one of those comforting foods that can make things feel right, even if just for a moment. This week's Tuesday with Dorie challenge is to make Dorie's All-American, All-Delicious Apple Pie, and was chosen by Emily of Sandmuffin. This is indeed a comforting apple pie, with its deep-dish crust and generous, juicy apple filling. 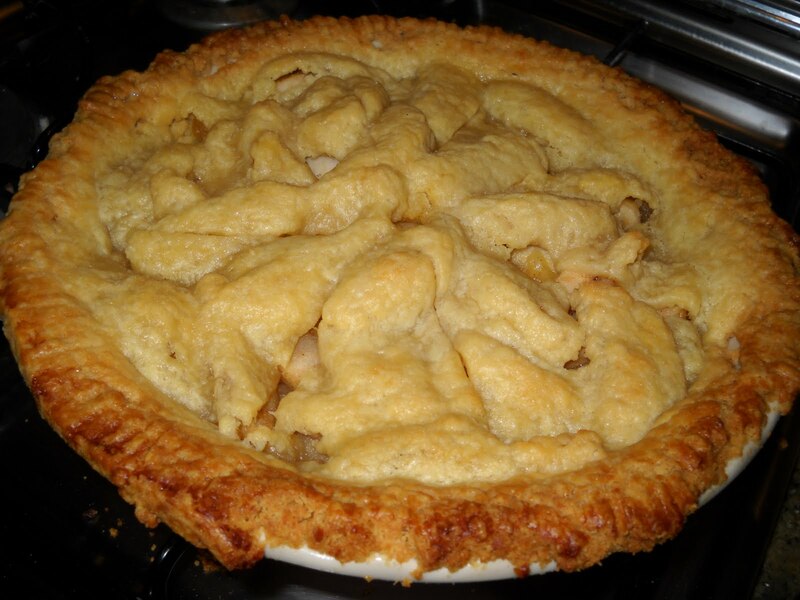 To check out how the other TWD bakers went with this pie, visit the TWD blogroll. 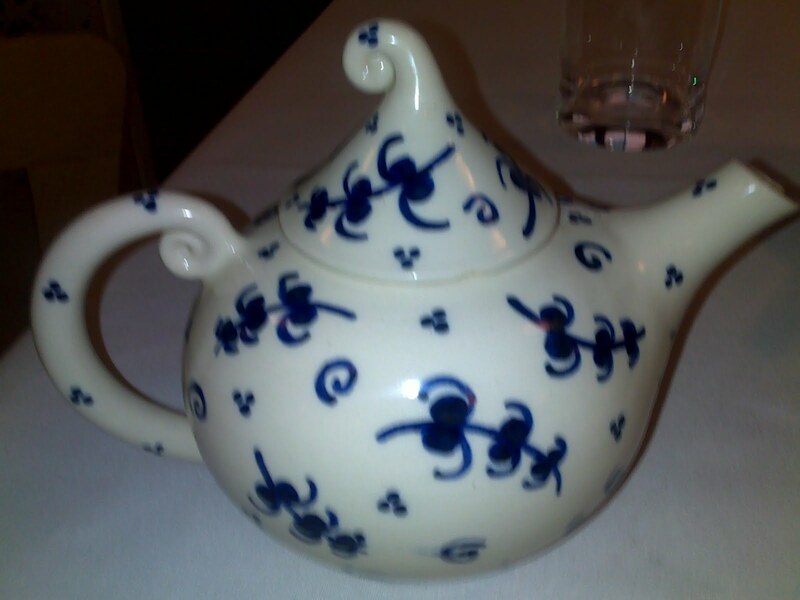 You'll have some tea... are you sure you don't want any? Aw go on, you'll have some. Go on go on go on go on go on go on go on go on GO ON! 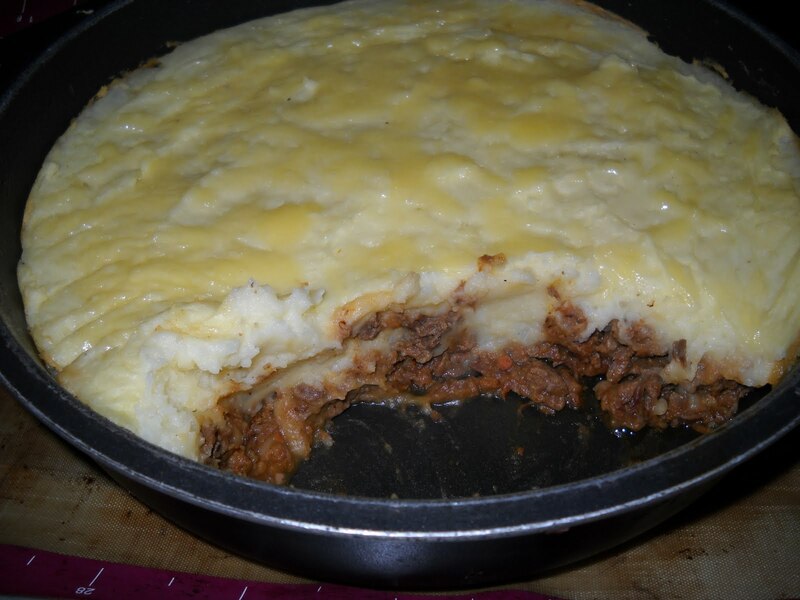 Shepherds pie was a dish that my Mum made often when we were growing up. I adore shepherds pie because it is warm and comforting, and reminds me of growing up. Accordingly, I was pleased when this week's French Friday with Dorie pick, chosen by Dorie herself, was shepherds pie - err, well, hachis parmentier to be exact (or French shepherds pie). I was tempted to make the "quick" version of this pie, using ground beef and thereby eliminating around 2 hours from the prep time. I started making this on Monday night, having been away for the weekend, and the thought of putting so much effort into a weekday supper was not appealing to me. This is where the Mrs Doyle quote comes in. My mind was urging me not to take shortcuts, and was jollying me along to make the full recipe to the refrain of Mrs Doyle's "go on go on go on go go on go on ...". Well, the Mrs Doyle in my head won, and I chopped vegetables, then boiled chuck steak for an hour and a half, and cut it into tiny pieces on Monday night. On Tuesday night, I finished off the hachis parmentier by squishing sausage meat from its casings, and heating it up with tomato paste and the bullion and beef from the night before. I used lean beef sausages with Asian herbs and spices from the local Safeway (primarily because they had about half the fat of regular sausages). I then peeled, boiled and mashed almost a kilo of potatoes, mixed them with light cooking cream, skim milk and margarine, and spread it on top of the meat in a casserole dish before topping it with grated tasty cheese (sorry Dorie, it was Devondale Light 'n' Tasty - Aussie, and cheaper and lower cal than the French alternatives). Despite my calorie saving initiatives, this was a very tasty dish - much tastier than the ground beef versions that I know and love. The creamy potatoes proved a perfect foil for the spicy, tomato-kissed meat mixture beneath. 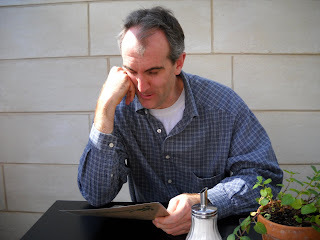 (I loved the mashed potatoes so much that I had to resist eating them out of the pot!) Accordingly, this dish was worth the effort. However, my tip if you venture to make it is to start early in the day, or spread it out over two days, making the bullion and beef on one night and finishing it off the next. 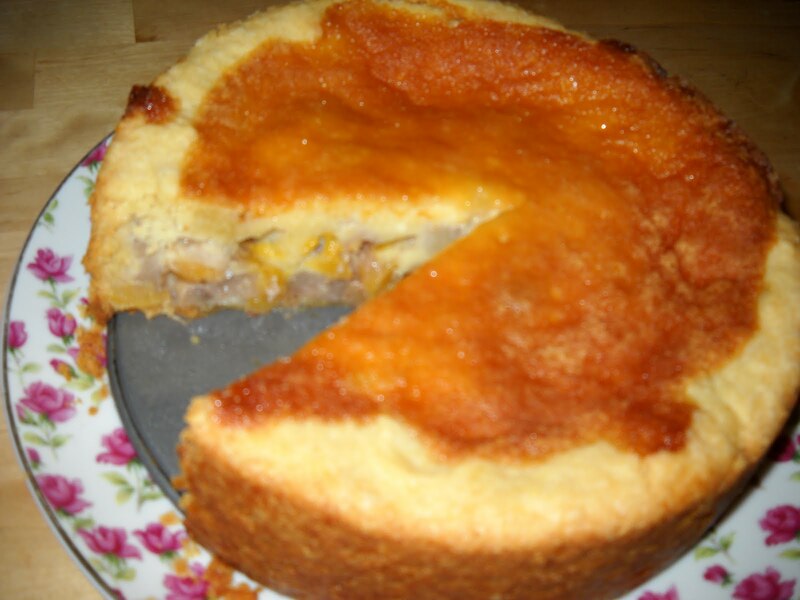 To see how everyone else went with hachis parmentier, visit the LYL section of the French Fridays with Dorie website. 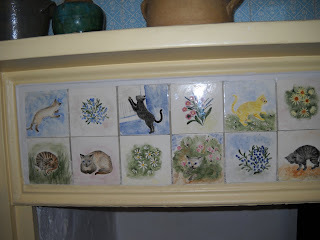 This post is a brief plug for Around My French Table by Dorie Greenspan. 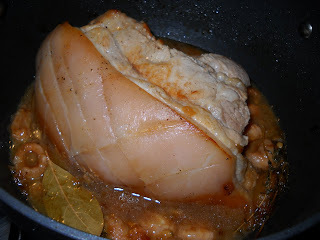 I made Dorie's Pork Roast with Mango & Lychees out of this book recently, and it is devine!! The sauce is rich and smooth and flavoursome, with a tang coming from the fruit, which complements the pork perfectly. 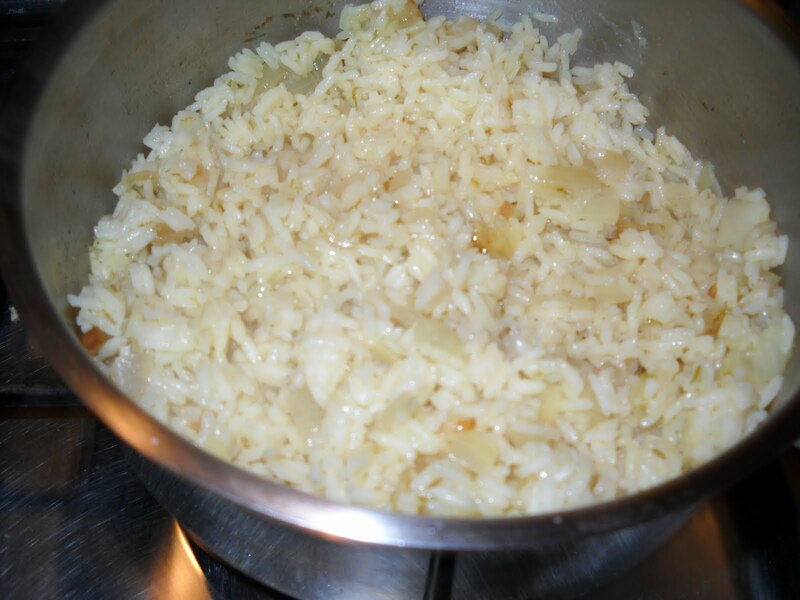 As I had lime zest left over from the lime used in the sauce, I flavoured my rice with lime zest instead of orange or lemon zest - it was a perfect pairing. 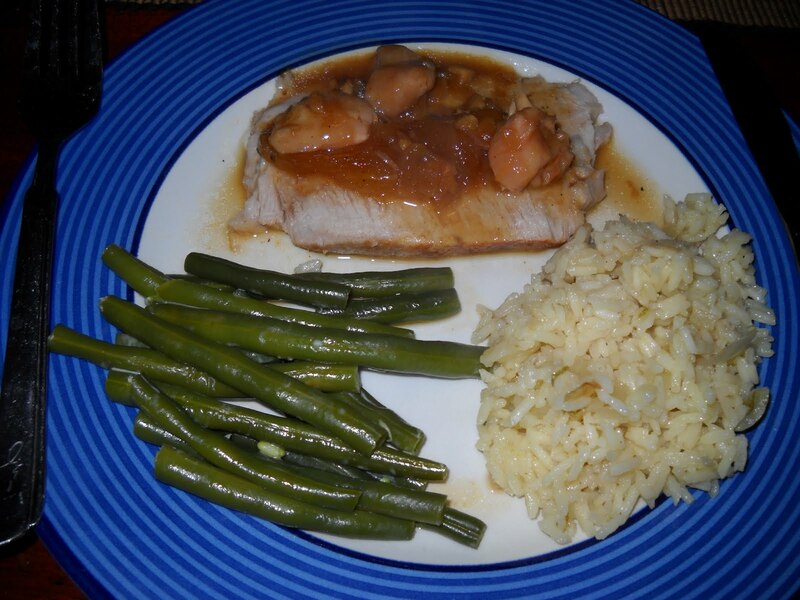 This dish is one of the best I have ever tasted, and I will certainly make it again. In the spirit of being an FFwD member, I will not share the recipe (even though neither of these recipes is on the agenda yet), but instead, encourage you to buy the book. You will find the recipes are not all cream and butter, despite it being a French cookbook - many of the dishes are clean and crisp in flavour, and are inspired by a wide range of influences. 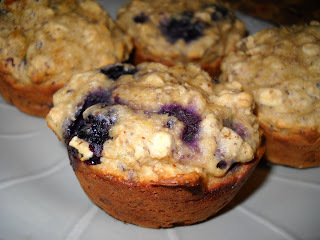 I am always searching for lunchbox snacks to tide me over before lunch, so when I saw Johanna's Blueberry Oatmeal Muffins on Gourmet Green Giraffe, I was sold. I even bought the LSA to make these muffins, but on re-reading Johanna's post, I realised that Johanna bought it and put it in baking because she didn't know what else to do with it, LOL! The lady at the health food shop told me not to put it in baking "because it loses its goodness", but I ignored her, because this is why I bought it. Oh well, it was a bargain at $5 something for a massive container, so I don't mind. I am figuring you could use it in place of nut meal in cakes, and it is way cheaper than nut meal. If you like sweet muffins, these are not for you. There is only a quarter of a cup of brown sugar in the whole batch, with the only other sweetness coming from the blueberries. If you wanted more sweetness without adding sugar to the batter, you could put streusel on top of the muffins. These muffins even smell healthy immediately after baking because of the wheatgerm (which I had left over from another project). They are kind of like the shredded wheatmeal biscuit of muffins - pleasant and filling, but not a dessert-style treat. For that reason, they are perfect in my lunch - they are guilt free and keep me away from the chocolate vending machine. Thanks to Johanna for the recipe, which I have linked to above. Pumpkin pie is one of those dishes that I'd heard about on TV (eg Happy Days) but had never tasted because it just isn't made in Oz. My first experience with making a version of pumpkin pie was Dorie's twofer pie nearly two years ago, and I can't remember much about that except that the crust went very, very wrong. Our Tuesday with Dorie host this week is Janell of Mortensen Family Memoirs, who has chosen Dorie's Caramel Pumpkin Pie. 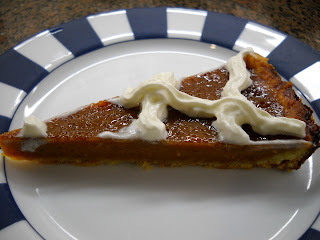 This is my second pumpkin pie experience, although the comments indicate that this tastes better than normal pumpkin pie - caramel has a tendency to do that. 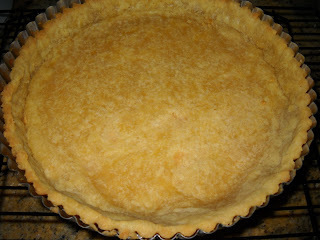 Yup, she may have shrunk a little, but she's still a fine looking pie crust, in my view. I also negotiated this no sweat, although the stuff still terrifies me because of its ability to maim unsuspecting bakers in a single splash. No-one at work knew what this was, even though they all liked it. Thanks to Janell for being our host this week. 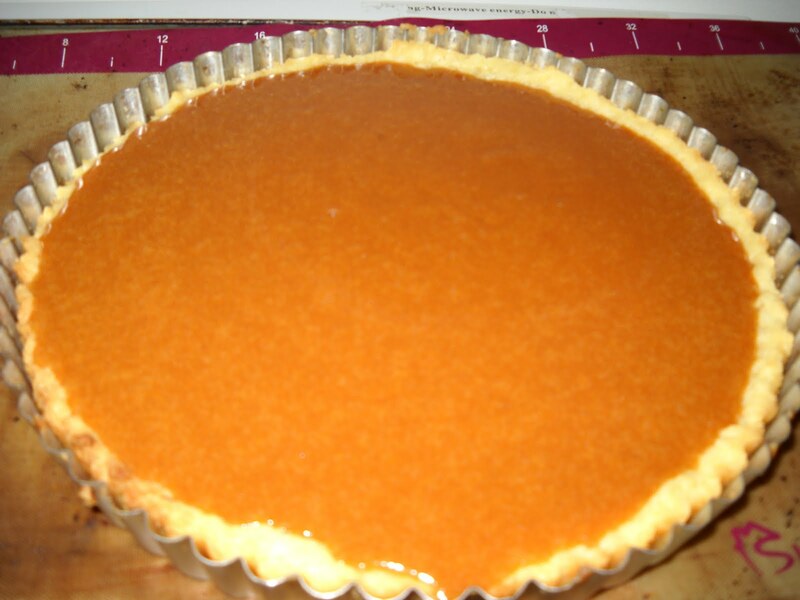 To check out what everyone else thought of Dorie's Caramel Pumpkin Pie, visit the TWD blogroll. One of the things I love about Melbourne is that you never know what you might find around the next corner, in the next alley, or up the next staircase. The diversity is simply breathtaking, and makes dining in Melbourne an experience to remember. The Danish Club is one such hidden treasure. On Friday, I went to a business lunch at The Danish Club in Melbourne, and it was a sheer delight. From the blonde wood interior to the very cool Danish lamp shades and the bowl of yellow tulips on each table, the atmosphere was an experience in itself, even before you started dining. 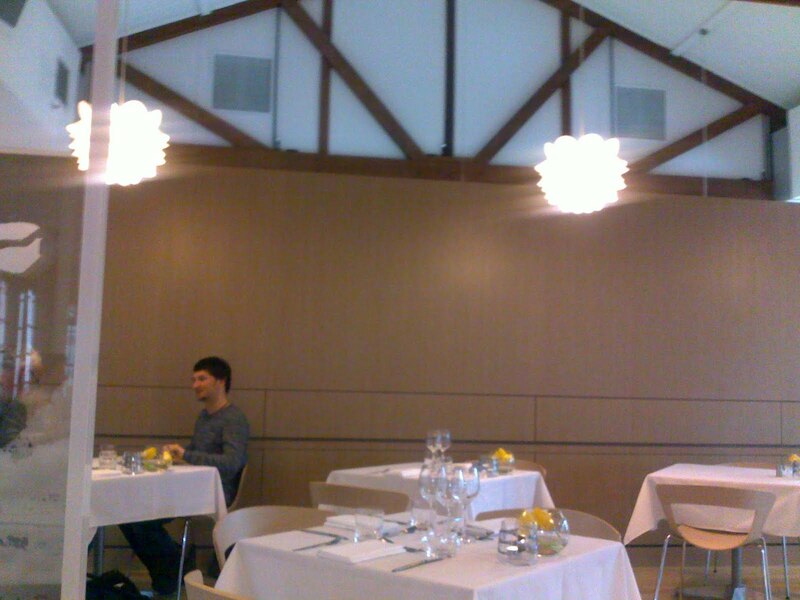 The menu consists of Danish and Danish inspired dishes. The presentation of the food was magnificent. I don't have photos of everything, because it was a business lunch and I really did not want to have to explain why I was photographing the food. I explained taking a photo of my own food by stating that it was so unusual - which it was, in a very good way. 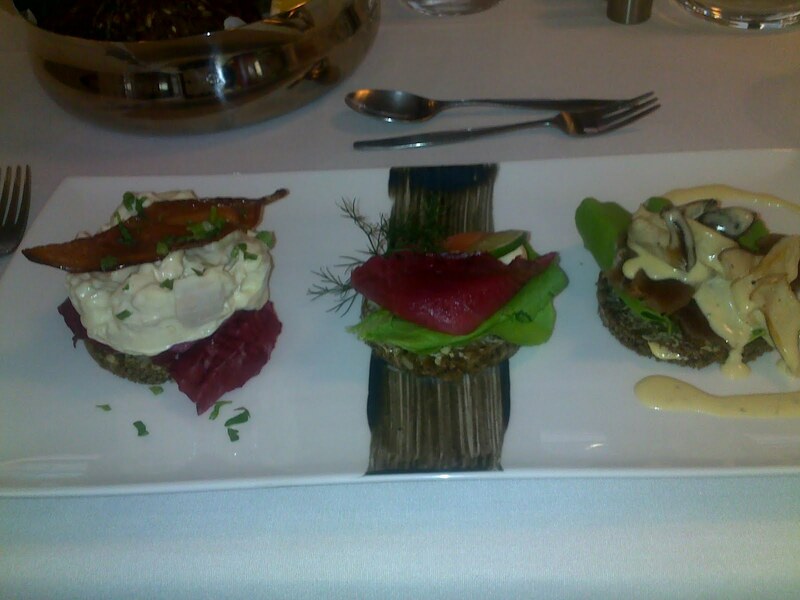 This consists of three open faced sandwiches on circles of rye bread, chosen by the chef. The one on the left, which looks like a huge poached egg with bacon on top, was actually a kind of club sandwich - there was creamy chicken in mayo (the "egg"). topped with crispy bacon, and with red lettuce underneath. The middle one, my favourite, is smoked salmon (or tuna?? ), with lettuce, fennel fronds and some kind of creamy sauce. The one on the right, my least favourite but still tasty, appeared to be thin slices of pickled pork with a creamy mushroom sauce and the ubiquitous lettuce. I have no idea what the decorative black smear on the plate was made with. 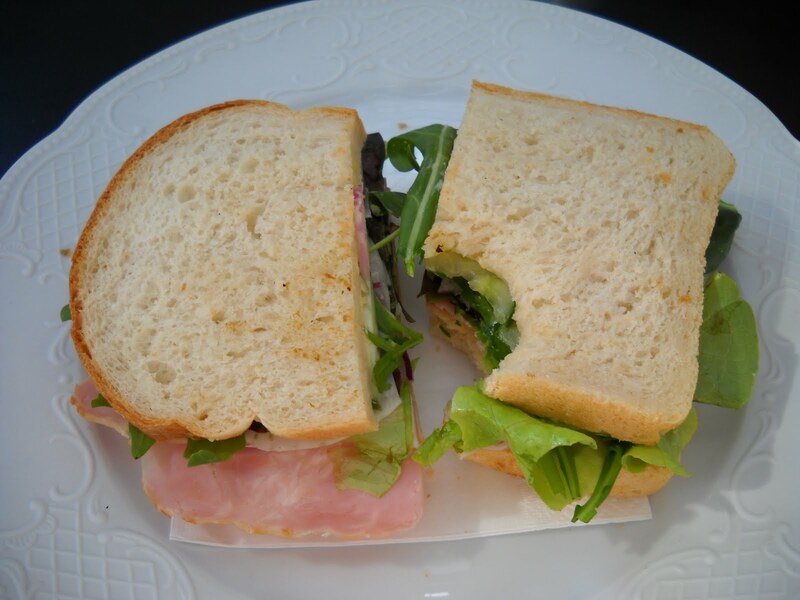 All I know is that these sandwiches were all devine, and very different to anything I had had before. The meals are served with a basket of bread for the table - both sliced baguette and rye bread. My favourite was the nutty, dark rye bread. 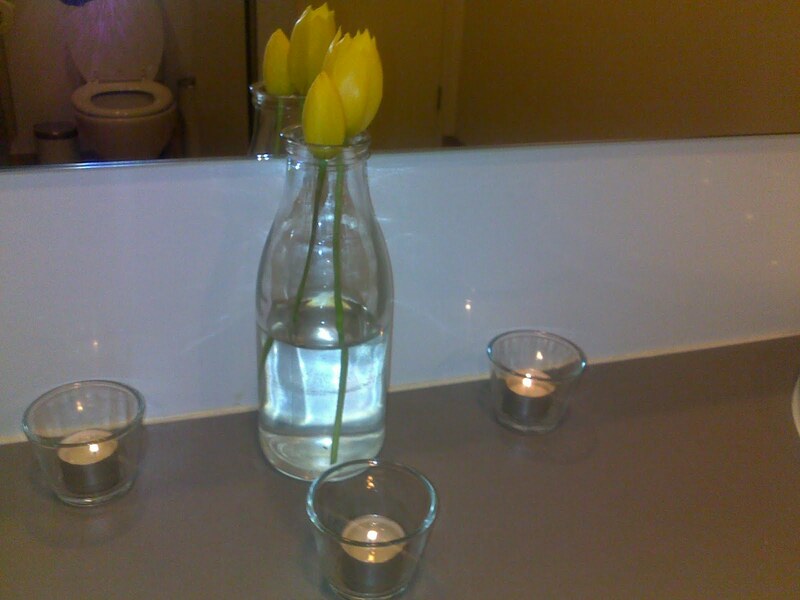 The staff were friendly and attentive, and the water (served in tall, curved carafes) was regularly replenished. Overall, this was an unusual and top notch dining experience. Unfortunately, to attend The Danish Club, you either have to be a member or accompanied by a member (in this case, my boss). However, if you are fan of the food or have an interest in Danish culture, the annual membership fee may well justify the pleasure of being able to dine here regularly, in relative privacy and away from the madding crowd. Zorra of 1 umruhen bitte is once again hosting World Bread Day. 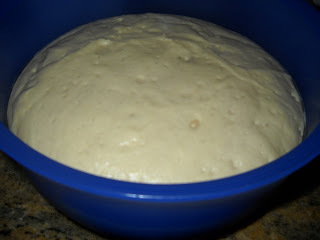 All you have to do is bake any kind of bread and post about it on Saturday, October 16, 2010. Easy! I had been eyeing up Hugh Fearnley-Whittingstall's Chelsea Buns with Fennel and Apricot for a while. 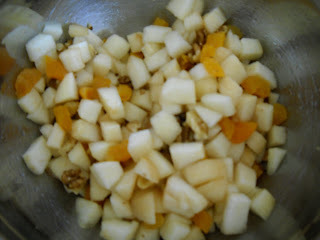 I love dried apricots, and the combination of fennel and apricot seemed intriguing. The recipe from The Guardian is here. To be honest, I wasn't overly enamoured of the fennel and apricot combination. I found the aniseed flavour to be a little overwhelming - maybe because I used ground fennel instead of fennel seeds? I would probably ice the buns with water icing as opposed to using the milk glaze, which didn't add a lot, in my view. Thanks to Zorra for being our host for World Bread Day once again, and you will be able to check out the roundup of breads from all over the world shortly on her site. I am not a soup maker. Soup is something that I rarely make, and is rarely something that I reach for when I am hungry, unless I am looking for a light meal. As kids, we were never enthused when Mum gave us soup - it seemed like second prize when there was nothing else on the go. For this reason, when I saw that this week's French Fridays with Dorie pick was a soup recipe, my initial thought was, "meh". A soup comprised of 6 cups of chicken stock with some bits in was seriously not enticing me, nor was the picture of a pale broth in the book. However, I have been pleasantly surprised once again. I dutifully made Dorie's Vietnamese Spicy Chicken Noodle Soup, not having any high hopes for it, and wondering what to do with the leftovers. At the start of cooking, with lots of chicken stock and not much else in the pot, I was still unconvinced. 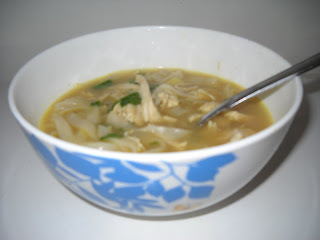 But pour in some coconut milk, poach some chicken in the broth, throw in a dash of coriander, add some noodles for body, and (in my case) some curry powder and lemongrass - and you have magic! This is a full bodied, satisfying, lightly spiced soup, and the curry powder really gave it some zing. I have been eating this soup for dinner this week, and I have not been disappointed one night - this is definitely not a "second best" soup. As well as making the curry and lemongrass variation suggested by Dorie, I used black peppercorns (as white seems to be a rare commodity here), I didn't wrap my coriander stems and star anise in cheesecloth ('cause it is not something that I keep in the house), used chilli powder instead of dried chillies (my supermarket doesn't stock them) and left out the coriander seeds (because I didn't have any). Also, I found it easier to shred my chicken with a fork - it is easier on the fingers (ouchy - hot! 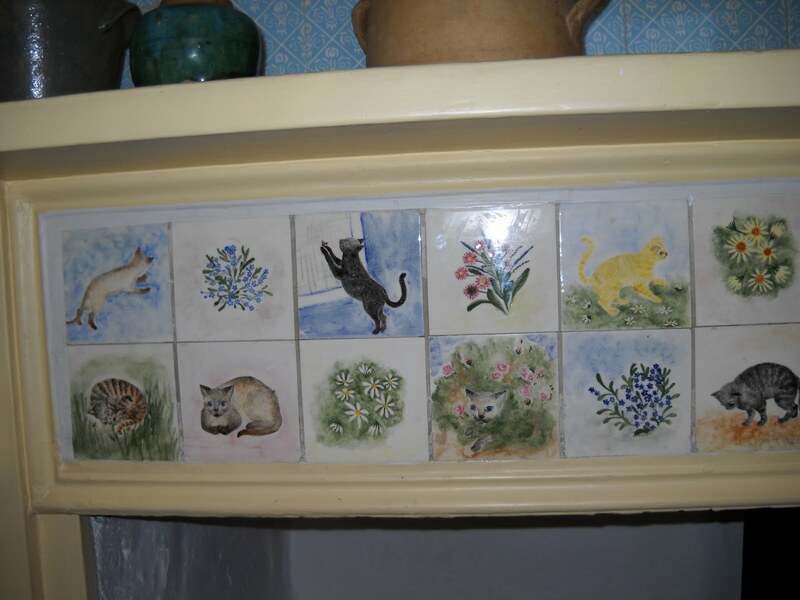 ), and gives finer pieces. 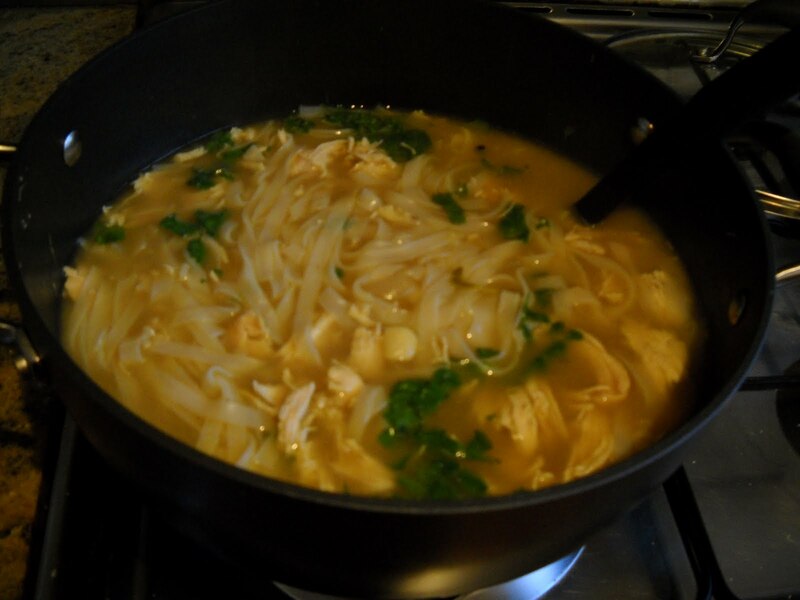 To check out what everyone else thought of this soup, visit the LYL section of the French Fridays with Dorie website. Today, I want to clap my hands - after two years (almost to the day) of baking along on Tuesdays with Dorie, it is my turn to pick a recipe. Hooray! My first TWD was aptly the pick of my blogging friend, Tammy, of Wee Treats by Tammy - the Caramel Peanut-Topped Brownie Cake. Along the way, I have made many things that I otherwise might never have tried (some of which I liked, others not so much), and learned some new skills. I have almost mastered caramel, can make a reasonable tart shell, and have learned to make Italian buttercream, to pick out some highlights. I have also met many other fabulous TWD members, and look forward to visiting them on Tuesdays. 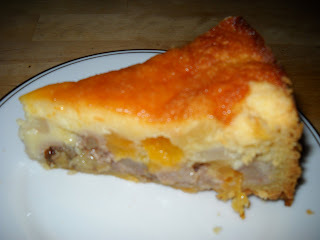 My pick from Baking - From My Home to Yours is the Fold-Over Pear Torte. There is no photo of it in the book, so I was intrigued as to how it would turn out. 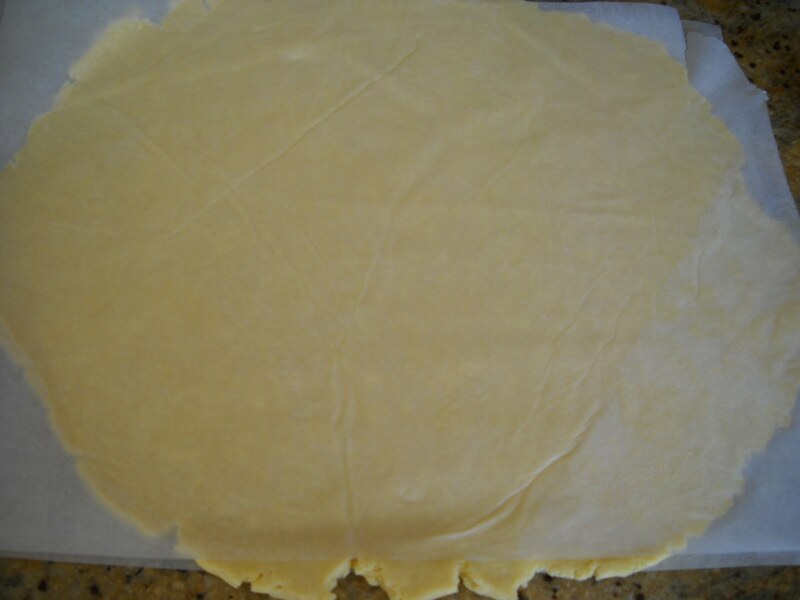 From Googling similar recipes, I believe it is supposed to look like a tall galette - you can see a lovely example of one here. Unfortunately, mine was not so much like a galette as a very high-sided tart, because my filling baked up and over the folds of the pastry, hiding them from view. No matter - this torte tasted delicious, and I loved the combination of soft fruit and custard filling in the crisp, buttery tart shell. However, I thought the ratio of custard to fruit would be higher - and if I made it again, I think I would make it that way. Nevertheless, it was a delicious dessert, which for once I was able to take to dinner with friends. 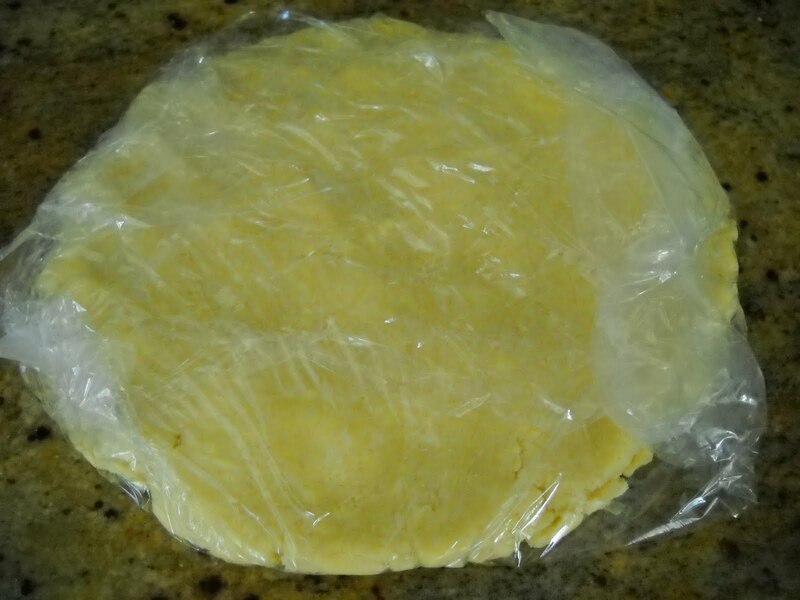 Once your pan is lined with dough, cover it and put it back in the fridge to chill while you make the filling and preheat the oven. Line a baking sheet big enough to hold your springform pan with a piece of baking paper or a silicone mat. 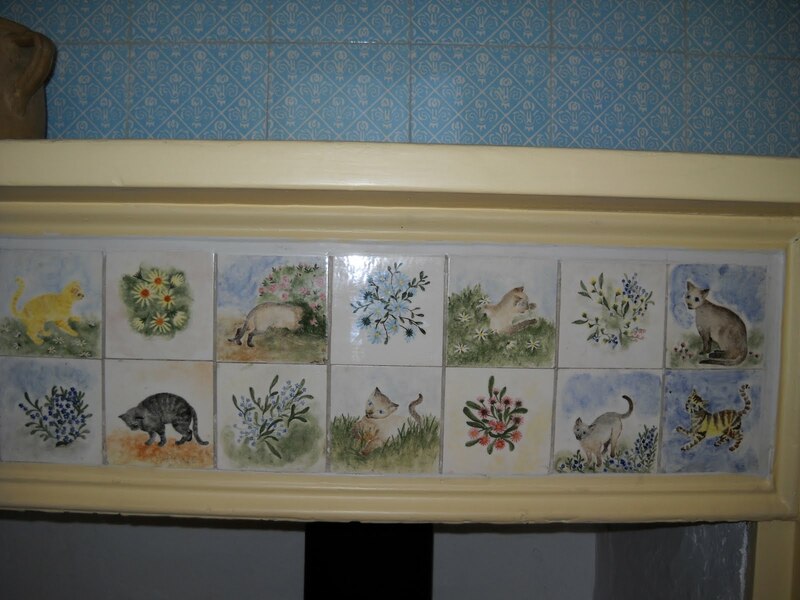 Centre a rack in your oven and preheat it to 200 degrees Celsius/400 degrees Fahrenheit/ gas mark 6. Whisk together the flour, baking powder and salt in a small bowl. Set aside. 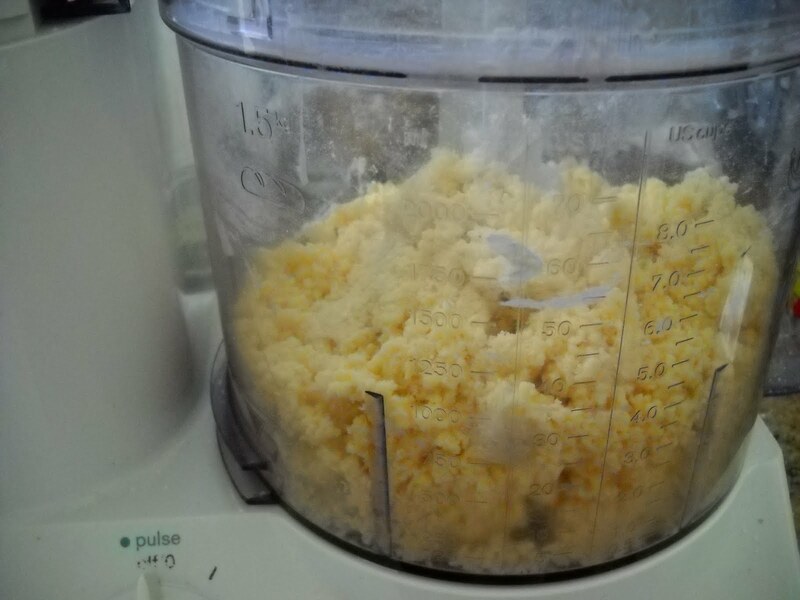 Using a stand mixer fitted with a paddle attachment, or a hand mixer in a large bowl, beat the eggs and sugar together on medium-high speed until they thicken (~ 3 minutes). 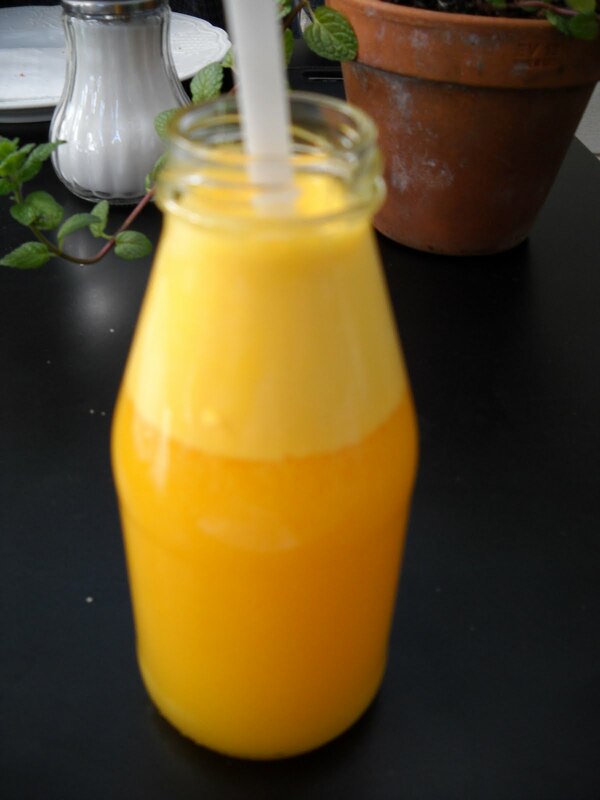 Reduce the mixer speed to low, and add the rum and extracts. Still with the mixer on low, add the dry ingredients, mixing only until incorporated. 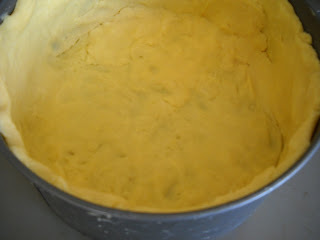 Last, add the melted butter, then the cream, mixing only until the batter is homogenous. 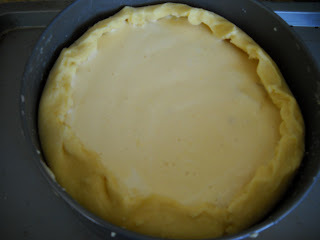 There should be space between the filling and the crust, as the filling will rise to fill the gap. Put the torte in the preheated oven, and lower the oven temperature to 180 degrees Celsius/350 degrees Fahrenheit/ gas mark 4. Bake the torte for 60-70 minutes, or until the crust is browned and a knife inserted into the custard comes out clean. (Mine took substantially longer.) Check the torte after it has been baking for 40 minutes or so, and if the crust is getting too brown, cover the torte with a foil tent for the remainder of the baking time. 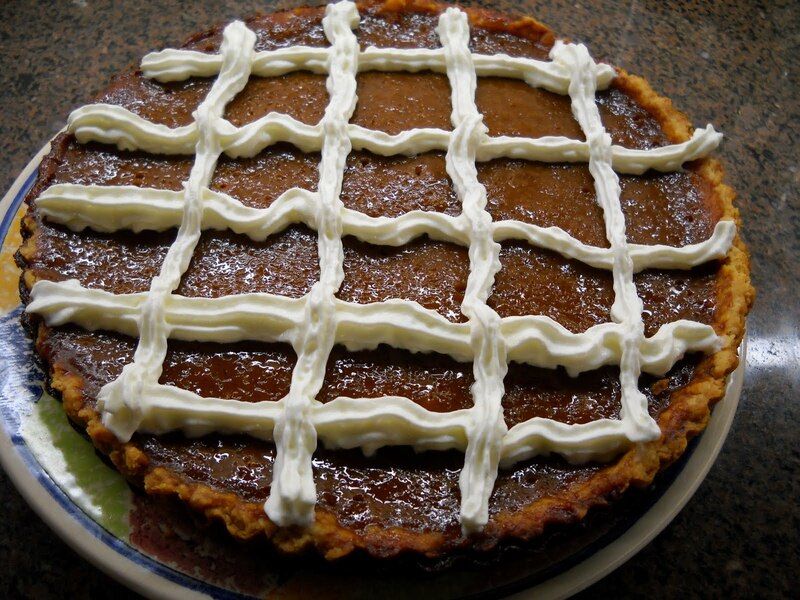 Remove the baked torte from the oven, and allow it to cool completely in the pan on a wire rack. Dorie then says you can dust the torte with confectioner's sugar before slicing and serving - I didn't. You can see that the filling is mostly fruit with only a little custard (even though I used all the batter) - I would ideally like the proportions to be around half and half. Nevertheless, this was delicious, and my friends enjoyed it too - a crisp, buttery outer crust which contrasts with the soft, juicy filling. To see how the other TWD members went with this recipe, visit the TWD blogroll. Thanks to everyone who baked along with me this week, and I hope you enjoyed the torte. Today is the 70th anniversary of John Lennon's birth. Being a huge fan of the Beatles and John Lennon in particular, I could not let today go by without commemorating John's 70th anniversary. I don't intend to recount highlights of John's career, which was so tragically cut short by a senseless act. However, I will say that although The Beatles broke up before I was born, and I was only a child when John died, the music of the Beatles and John's solo career has left an indelible mark on my life. I grew up with it, and consequently, it is part of the fabric of my life. No matter what my mood or state of mind, I can always find a Beatles song to match it perfectly. My favourite Beatles songs written by John are Lucy in the Sky with Diamonds and Dear Prudence. They both have an ethereal quality, a beautiful melody and great lyrics. To mark John's 70th anniversary, I have made a frosted marmalade cake, from pp10-12 of Nigel Slater's The Kitchen Diaries. You can also find the recipe online here at Margaret's Kitchen Delights. I have made this cake once before, and like last time, and as warned by Nigel, it sank in the middle a little. However, the cake tastes fabulous if you are a fan of marmalade, so it is worth making - it is a tangy, light, orange flavoured cake, with orange flavoured icing on top. The sunken side is facing down in the photos!! I was inspired to make this cake by the above-quoted opening lines of Lucy in the Sky with Diamonds. 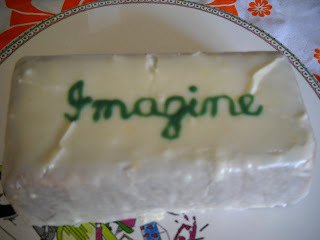 To decorate the cake, I piped the single word Imagine on top - being, of course, the title of one of John's best-known and loved songs from his solo career. This cake is dedicated to the memory of John Lennon and to all Beatles fans. Don't you love it when you are pleasantly surprised by something you've eaten? When presented with something that you aren't keen on, the dread builds up, and you are tempted to give it a miss. But then you try it in the spirit of open-mindedness, and kaboom! You love it. 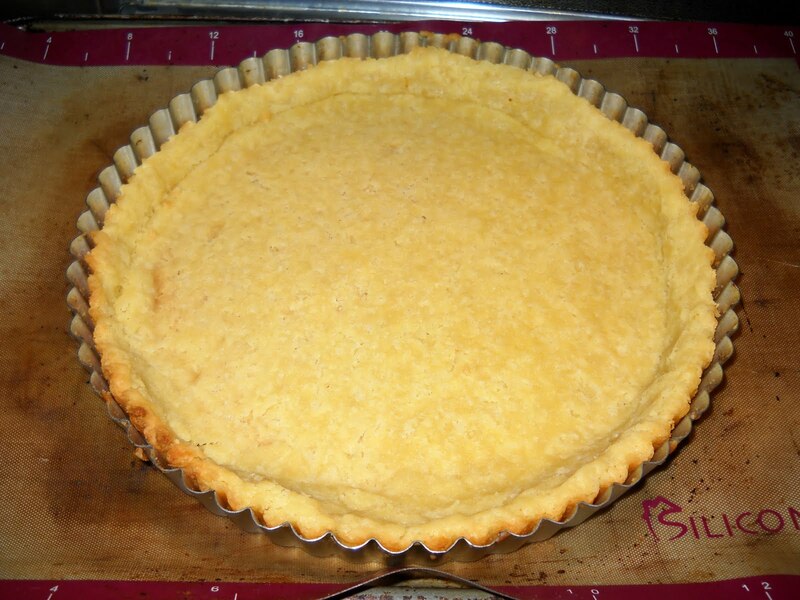 So it was with this week's French Fridays with Dorie pick, Gerard's Mustard Tart. This was another of Dorie's picks. 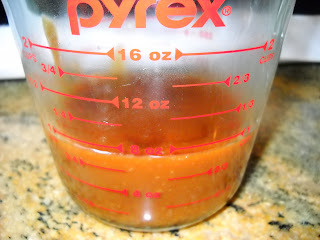 When confronted with this recipe, my first thoughts were, "Awww, gee, what on earth am I gonna do with that?" 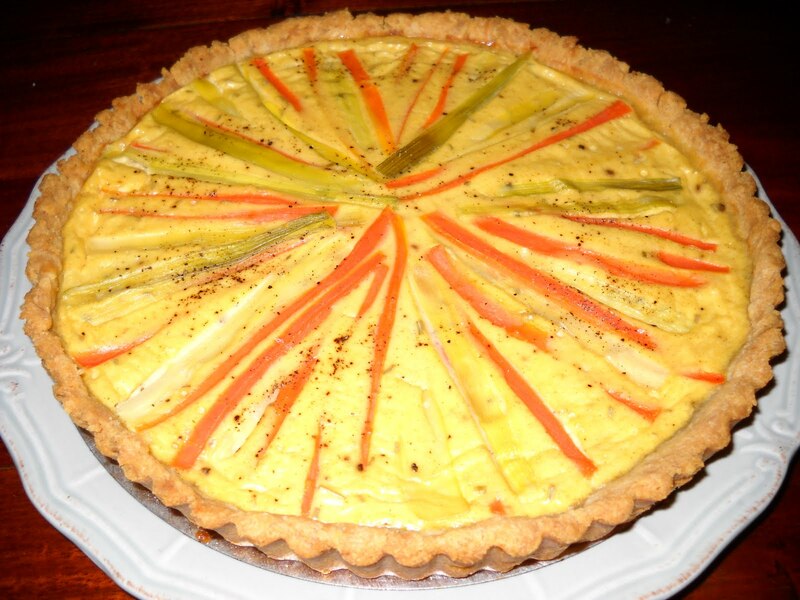 I wasn't looking forward to cutting carrot and leek matchsticks, and spending a significant amount of time doing battle with my nemesis, tart dough, for a product I was sure I didn't want. But you know what? I really enjoyed this tart. 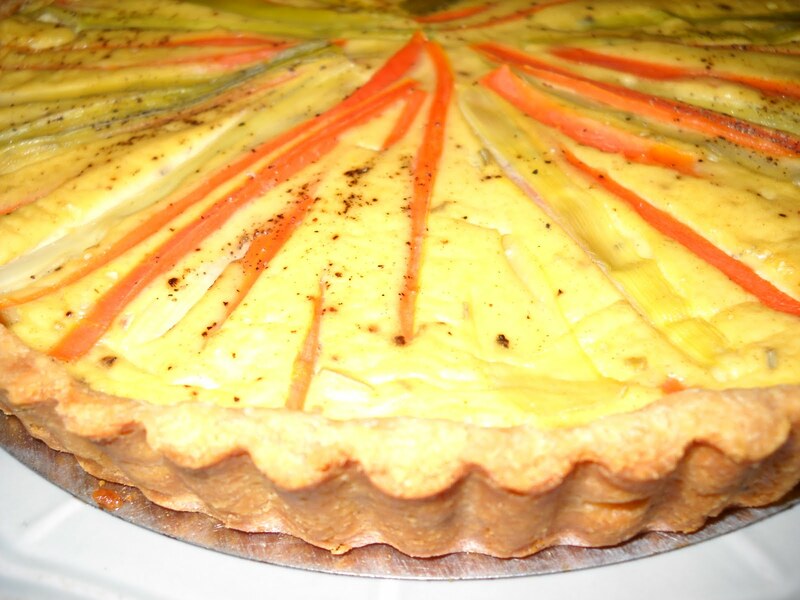 It consists of a savoury tartshell filled with eggs and cream and mustard and rosemary, and topped with carrot and leek matchsticks. And although I doubted it, this tart is devine - I enjoyed the bite of the mustard against the subtle sweetness of the steamed vegetable matchsticks. 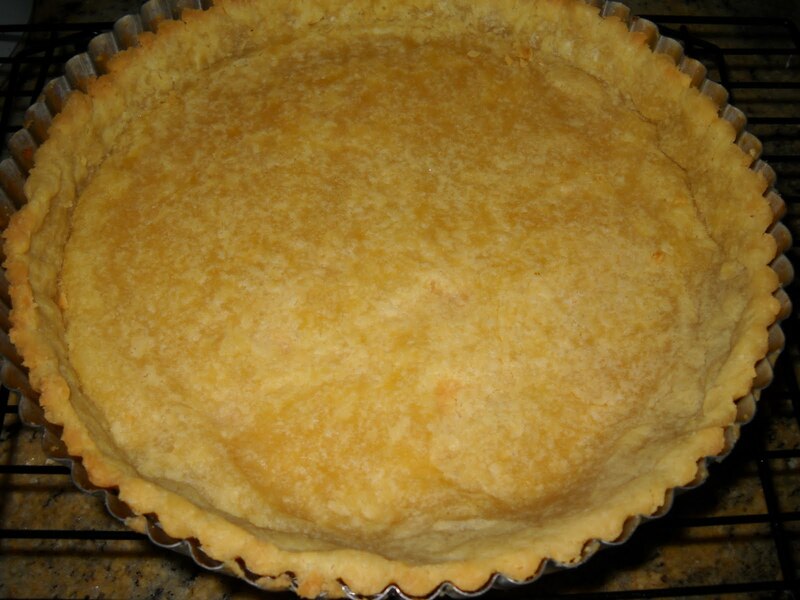 Because the filling is not deep, it doesn't form an overwhelming eggy mass like quiche can, and both the tart shell and the filling are light and subtle. Suddenly, all that time cutting up vegetable matchsticks seemed worth it. This dough is buttery and crumbly and delicious - this is now my "go to" savoury dough (I didn't have one before!). 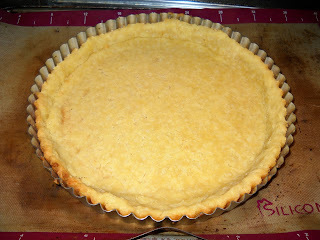 I am proud of this tart - it actually resembles the one in the book (Around My French Table), and tastes great. The only departures that I made from the recipe were to use all Dijon mustard (as I was not investing in two jars of mustard when I rarely eat it), using black pepper instead of white (which explains why my tart is speckly), and using a sprinkling of dried rosemary in the filling rather than steaming the vegetables with a sprig of rosemary then baking the tart with another sprig on top. The latter was because my local supermarket thought they could get away with daylight robbery by charging $4 for a tube of fresh rosemary - if I'd had the time to go to the markets, I knew I could buy it for a dollar. I ate this tart at room temperature the next day, and loved it. It disappeared quickly at work too, so there's the proof - eating this the next day is fine. To see how everyone else went, visit the FFwD website. Do you like your weekends to be full on, relaxing, or a bit of both? I have to say that I like mine to be a bit of both. However, when I do things full on, they are really full on, leaving me exhausted. That's what it felt like on Saturday morning - I needed to wrap birthday presents for my friends Steve and Ruth, to bake a cake for Steve, to get Ruth's present to the post office before it closed at midday, and to take Steve's present and cake over, all in the one trip. I nearly didn't make the post office because I had a disaster with my first attempt at Steve's cake. Because Steve's partner needs to have gluten free, dairy free sweets, I thought this chocolate nut cake from La Tartine Gourmande fit the bill perfectly. 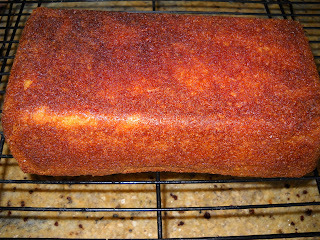 Umm, it would have too, if (a) I had not managed somehow to burn it; and (b) it had not stuck to the bottom, so that I ended up with a cake in two bits, each with a very brown bottom. Trying not to think of the ground almonds and chocolate going to waste, I sadly tossed this cake in the bin and started again. 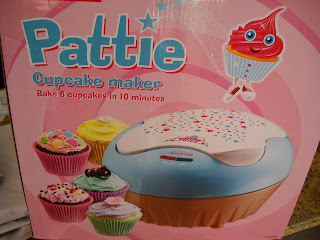 It claims to make 6 cupcakes in 10 minutes. I was sold! I removed Pattie from her box, flicked through the recipe book that came with her, and settled on the recipe for banana cupcakes. The beauty of this recipe is that it is a one bowl, one step recipe. This recipe was neither gluten free nor dairy free, but I fixed that by subbing gluten free flour in for the self raising flour and Nuttelex for the butter. This may have had some impact on the flavour, but they still tasted fine to me. 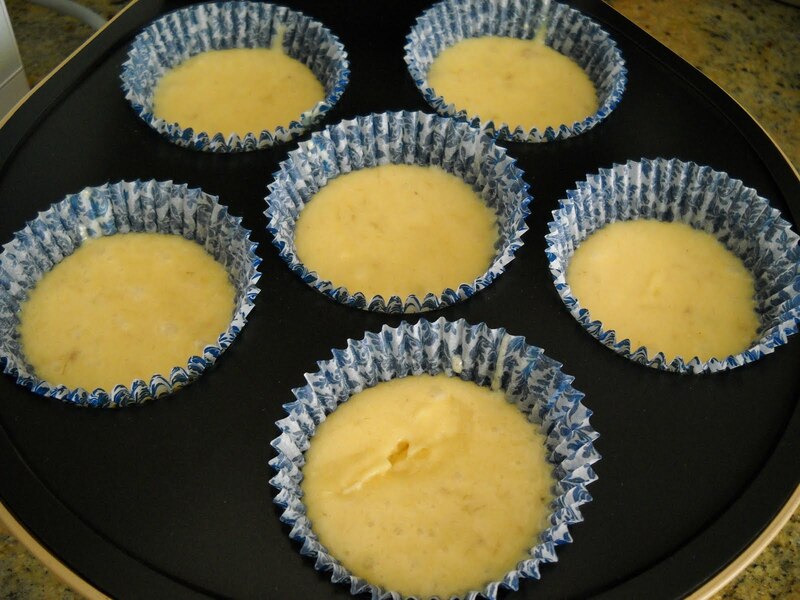 The trickiest part was getting the baked cupcakes out of the very hot Pattie - I used a Bessemer wok tool to do that, which was small enough to manoeuvre into the cupcake wells so I could flip out the cakes. Pattie lived up to her claims, and the cupcakes were done in 10 minutes. 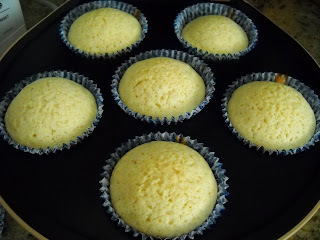 The recipe gave me lovely little domed banana cupcakes that were reasonably moist. 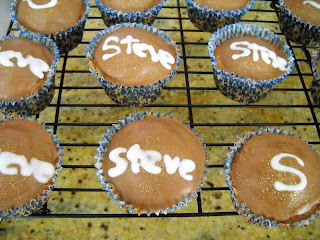 Once the cakes were cooled, I iced them with chocolate flavoured water icing, sprinkled them with gold disco glitter and piped "Steve" all over them. The latter was probably one ambitious step too far, as my royal icing resolutely refused to thicken up properly, so that my neat piping ran a little - or perhaps that was the result of piping it onto slightly damp water icing. Nonetheless, Steve was delighted with his cakes - and I made the post office with twenty minutes to spare. Turn the cakes onto a wire rack to cool before decorating. Aren't they beauties? There was (clockwise from top left) coffee, rose, chocolate, milk chocolate (I think! 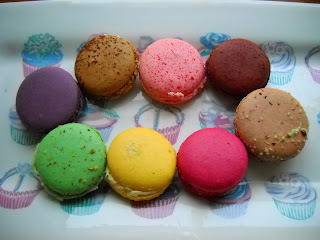 ), raspberry, lemon, pistachio and blueberry. My favourite was the blueberry that was filled with some kind of juicy blueberry filling. Yum! And I will leave you with that thought - have a great day. What kind of cake do you like the best? My favourites are moist cakes which are not overly sweet, and which contain fruit to give them flavour and texture. 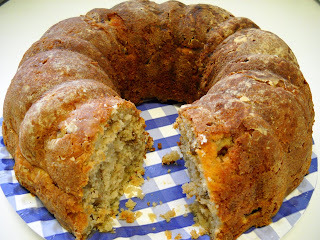 Accordingly, this week's Tuesday with Dorie pick by Lynne of Honey Muffin was perfect - she chose Dorie's Double Apple Bundt Cake. The cake is "double apple" because it contains grated apples and apple butter. Unfortunately, apple butter is not available in Australian supermarkets, so I used apple sauce instead. 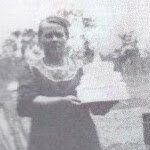 You could have dusted the cake with icing sugar or glazed it, but I didn't bother with either. I left out the raisins (by accident! ), and used walnuts in the cake. 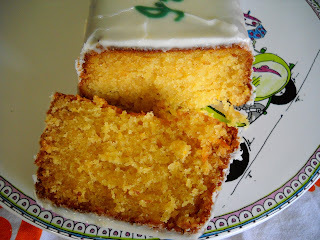 This cake was moist and flavoursome, with a lovely textural crunch from the nuts. It would be perfect to pop into a picnic basket for a lazy Sunday afternoon jaunt. I loved it. 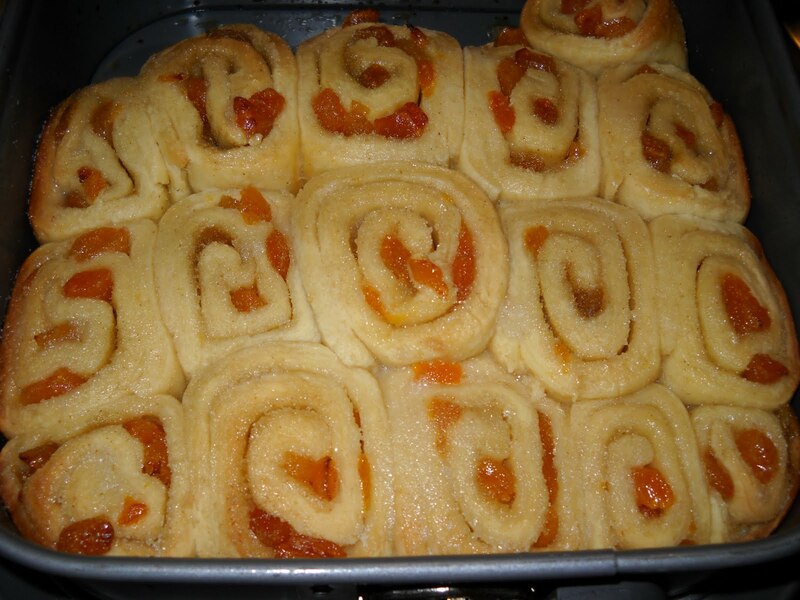 To see the recipe, visit Lynne's site or buy the book. To see what all the other TWD members thought of this cake, visit the TWD blogroll. Last weekend in Melbourne was glorious - the sun shone, the weather was warm, and for the first time it felt like spring (even though we are already more than a month into the official season). Tim and I took advantage of the gorgeous weather to go to Heide Museum of Modern Art at Bulleen. 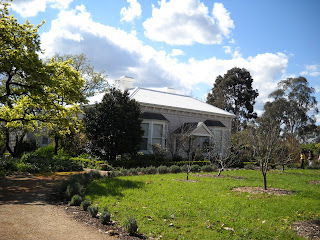 Heide (an abbreviation of Heidelberg, the area where Heide is built) was established by John and Sunday Reed, who were patrons of Australian modern art, and lived a sustainable lifestyle at their property. The Reeds often had luminaries of the Australian art scene stay with them for long periods, and many famous works of art were created there, including 26 out of 27 of Sidney Nolan's Ned Kelly series. 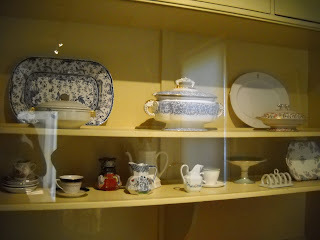 At present, there is an exhibition at Heide I called "Sunday's Kitchen: Living and Working at Heide", which features photos, recipes and artefacts from the life of the Reeds. In the Reeds' kitchen garden, they grew vegetables to sustain them. They also kept cows and hens. 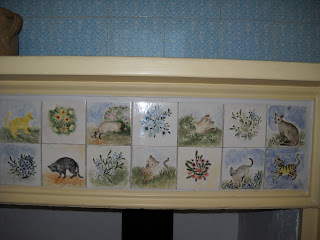 It was a simple lifestyle which, although it would have been hard work, sounds idyllic. 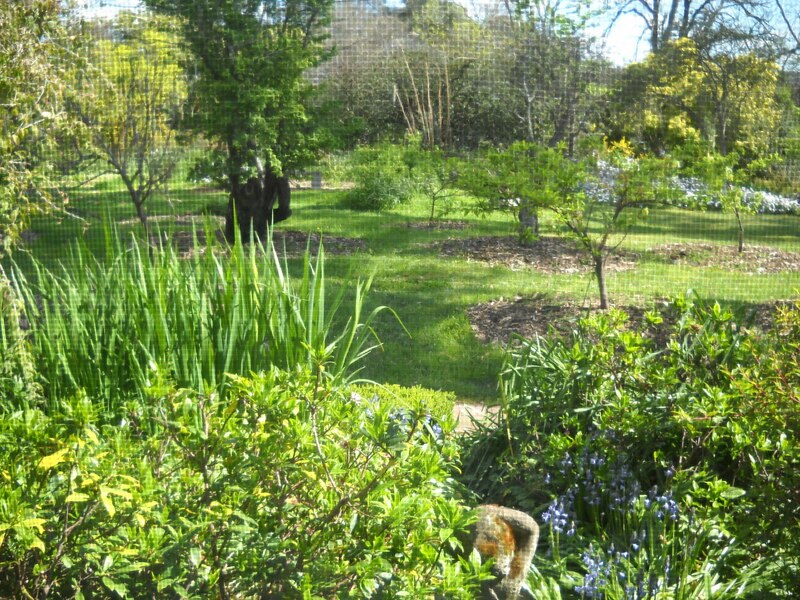 After wandering through Heide's gardens and the art exhibitions in Heide II, the purpose built art gallery in which the Reeds also lived for a time, Tim and I went for a late lunch at Cafe Vue at Heide. Cafe Vue is a member of the Vue de Monde family of restaurants and cafes operated by award-winning chef Shannon Bennett. 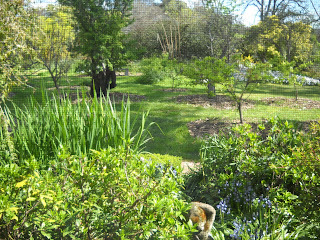 The cafe uses produce from the kitchen garden at Heide. Cafe Vue offers a range of simple and relatively inexpensive lunch options, including a $15 lunch box containing a selection of snacks and a dessert (being lemon meringue pie on the day that we were there). The lunch box would be perfect to take away and enjoy in the spacious picnic grounds at Heide. We were seated outside, which was perfect on such a glorious day, with the sun streaming in and a gentle breeze. Each table is adorned by a potted herb - ours was mint. It comprised lovely bread (the likes of which I have not had before, so I can't tell you what type it was), spread with mayonnaise and encasing leg ham, cucumber, lettuce, bean sprouts and red onion. I was very hungry by the time we had lunch, so this really hit the spot. Tim ordered a turkey baguette (not pictured). The only teensy aberration during our visit was that it took a long time to get glasses for our water, as the cafe had seen a roaring trade with the warm weather, and we had to wait until the glasses had been washed up. It was so relaxing just sitting back and enjoying the atmoshpere at the cafe that we really didn't want to leave. It was only time pressure to see the remaining exhibitions at Heide II that caused us to reluctantly vacate our comfy chairs. It was a beautiful yet simple lunch to cap off a glorious, relaxing day.